Is your old PC too weak for the newest games or complex 3D rendering processes? Instead of buying a high-end computer, you can soon rent a virtual one. This is what Blue Shadow is doing, and this is how it works. Those who are not yet familiar with cloud computing and cloud gaming might be curious about this. Renting a virtual computer and installing demanding software or playing the newest games in maximum detail on it? How does that work? This is what service providers such as Blade are making possible. Its offer, called Shadow, is coming to Germany this week. The idea behind it is that you pay monthly for a fully-equipped PC with Windows 10 and stream all contents directly onto your old computer or even your smartphone. In Amsterdam, as well as other places, the French company Blade operates a computer centre, in which there is extremely powerful hardware. 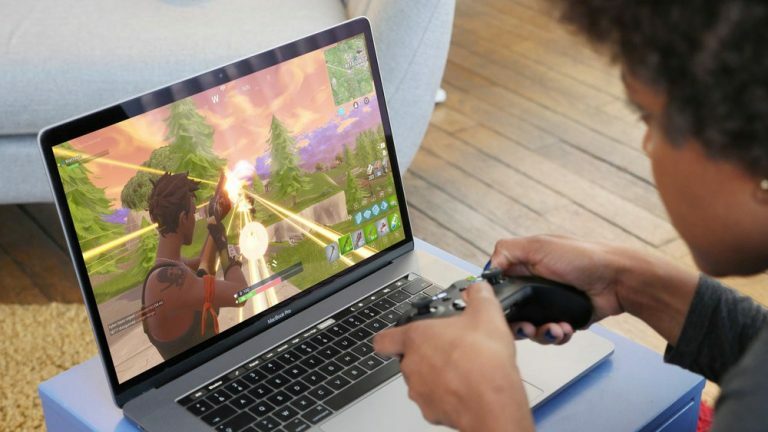 If you opt for Shadow, you get the performance of a computer that has an Intel Core i7 processor, Nvidia GeForce 1080 GTX, 12GB DDR4 RAM and 256GB hard drive. Such a PC would cost around 1000 euros for sure, but with Shadow it only costs about 30 euros a month. The difference is that the computer is not in your home, but you stream the system content from said computer centre to your living room. A 15 Mbps broadband connection is required to use the virtual Windows 10 machine on your old computer (Windows, Mac), smartphone or tablet (Android, soon on Apple also). You use your mouse, keyboard and gamepad – any input is received basically instantly so that there are no unpleasant breaks during gameplay. If the internet connection is problematic, the picture quality will worsen but it will not come to a halt. That’s what they have promised. 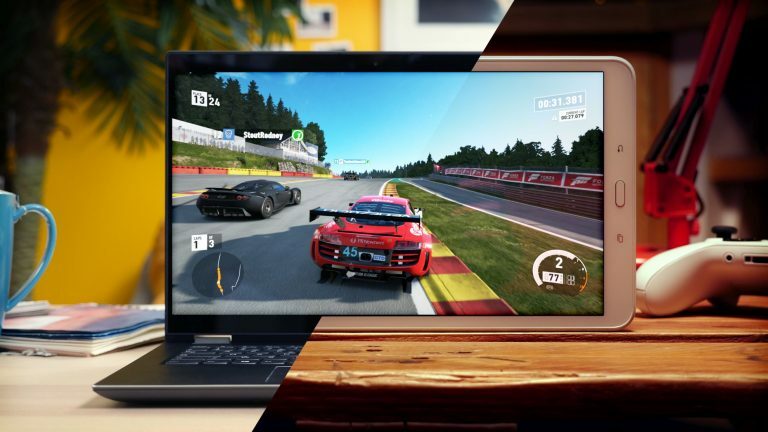 Blade Shadow is primarily aimed at gamers who cannot afford or do not want a powerful computer. 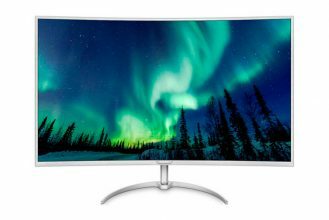 They get a system with can display games in 4K resolution (60Hz) or rather 1080p (144Hz). The pre-installed Windows 10 can be configured individually; you can also, for example, install Steam with your own games library. An internet connection with 1Gbit/s is ideal for your virtual computer. This means that you can install software onto it much more smoothly than at home. For those responsible, it is important that this is not only targeted at gamers. This is why it is explicitly called cloud computing and not, as was appropriate, cloud gaming. Those who want to use the computing power for complex raytracing calculations or video editing, can do so. For a one-off payment of about 120 euros, Blade offers a specifically designed streaming box, Shadow Ghost, with which you can access your virtual PC. As it has no cooling fan, it runs almost silently. The device is connected to a monitor via HDMI and the given USB ports are for your keyboard, gamepads and other peripherals. WiFi, Bluetooth and Ethernet are also available. With this solution you do not even need a PC anymore – the affordable ghost is enough to completely replace your computer. This is of course on the condition that your internet does not cut out, as without it you cannot access your virtual computer. Blade shadow is not a bargain. If you decide to opt for a yearly subscription, you are liable for 29.95 euros per month. For flexibility to cancel the subscription every month, it will cost you 44.95 euros. Against all odds, it is relatively cheaper than the existing competition. Competitor Vortex.gg specialises in gaming and offers a manageable number of games. LiquidSky limits customers to a prescribed number of hours per month, which is not optimal. On the other hand, Sony is one of the pioneers of the cloud gaming segment with PlayStation Now, yet it is limited to PlayStation games. 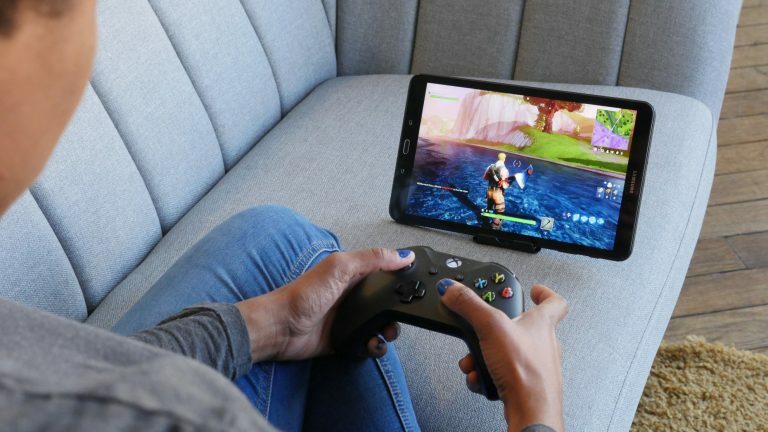 Blade Shadow is at least an exciting concept in theory, which shows that cloud computing, or cloud gaming, is slowly gaining momentum and importance. A fast internet connection is still needed, though, which requires additional dependence. On the other hand, gamers are used to needing a stable internet connection in online games, for example. So, Shadow could be particularly attractive to them, as they will not need to regularly buy new hardware in order to experience the latest blockbusters in the best possible quality. Next Nvidia RTX at a glance: Should I upgrade my graphics card?